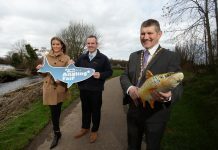 The Mayor was along the River Mourne, Strabane to announce the dates for the North West Angling Fair 2018 – which is set to make a welcome return on the 7th and 8th April at Melvin Sports Complex. Back by popular demand the angling fair returns for the third year running and is once again set to attract some of the UK and Ireland’s top fly-dressers, casters and anglers. Operating from 10 am to 5pm each day, both inside the Melvin Sports Complex and along the banks of the River Mourne, the Fair promises to be another huge success and a great occasion for all the family to enjoy. Welcoming the announcement, Mayor Mc Hugh said the event is an excellent way of promoting the river and fishing tourism in the Strabane area. “Last year’s event was a huge success and we are delighted that it is happening again this year. 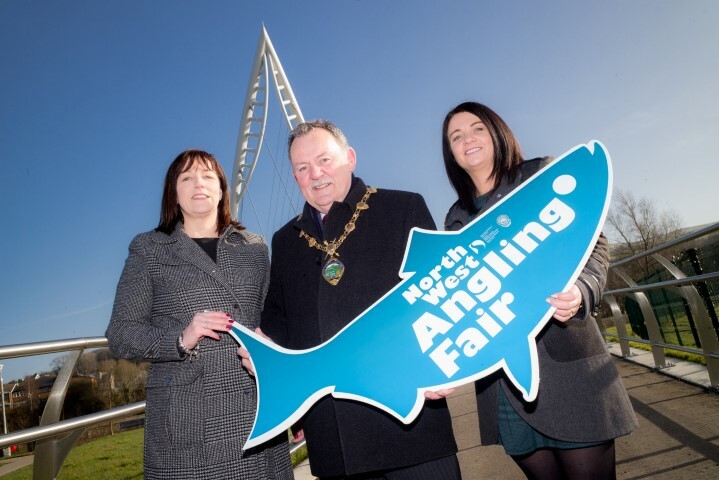 The Council is very keen to support events that showcase our local area and promote sport – and we believe that this event has huge potential in terms of actively promoting the Strabane area for fishing tourism. The event is also a great way of getting people out and about and encouraging more people to enjoy fishing and the River Mourne, This is why we are delighted the Loughs Agency are partnering with us in this year’s event with a programme of activities to encourage new participants, particularly children, into angling. 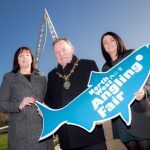 Their staff will be on hand to provide assistance to anglers with their e-Licence system and answer questions on angling, development, conservation and protection of the rivers and fish in the Foyle system” he said. 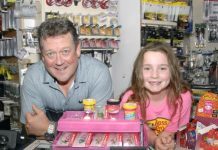 A range of high-calibre celebrity fishing experts will also be making appearances at the event to share their expertise and offer advice to angling enthusiasts. They will include internationally renowned fly dresser specialist Peter O’Reilly – best known for his book ‘Flies of Ireland’ and books on Irish rivers and lakes. A firm favourite of the programme of events are the series of outdoor casting demonstrations at the River Mourne under the Pedestrian Bridge. Spectators will have the opportunity to watch expert anglers practice their sport and hear expert advice. This year’s guests include Stevie Munn, Robert Gillespie, three times World Speycasting champion Scott MacKenzie, Andrew Toft, one of the world’s leading fly casting instructors Glenda Powell along with locally based Ladies International Flyfishing Association member Dr. Pauline McClenaghan, Jo Stephenson, the head ghillie at Ness Castle Lodges Gordon Armstrong and many more. Inside the hall Dr Ken Whelan and Jason O’Riordan will be presenting daily talks on a number of subjects including ‘Trout in Strange Places’ and ‘Salmon Fly Fishing throughout the Year’. There will also be a daily showing of their riveting film ‘Atlantic Salmon – Lost at Sea’. This year’s event will welcome once again a host of world class fly dressings onto the ‘Fly Dressers Row’, providing demonstrations and advice from a series of champion fly casters on the River Mourne, with talks from experts in the field of fishing on a range of interesting angling-related topics. Local angling clubs will also be taking part as well as youth angling competitions and activities to encourage a new generation of anglers into the sport. For those looking to buy fishing and angling equipment look no further as there will be a wide range of trade stands with everything you need. Traders will include The Bridge Guns and Tackle, River Mourne Guns and Tackle, Cookshill Fly Tying and many more. at the Festival and Events team at Derry City and Strabane District Council on 028 71 253253.